Producers Cautioned About Mycotoxin Levels In Feed | Chatham-Kent Agriculture Development | We Grow For the World! A newly released harvest analysis of 2016 feed crops from across Canada is showing results similar to the U.S. That is, producers are at high risk level for the presence of mycotoxins in their total mixed rations, distillers dried grains with solubles and silage. The analysis by the Alltech Mycotoxin Management team showed most of the 45 TMR samples contained fusaric acid and deoxynivalenol. 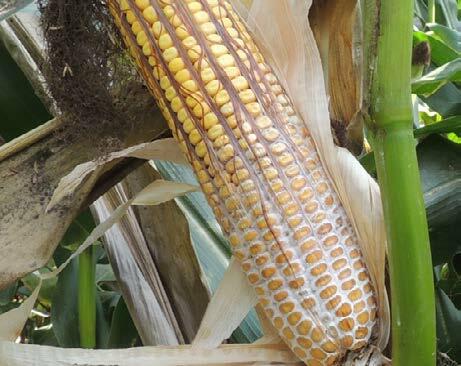 It was the most prevalent mycotoxin found in new-crop corn silage as well as spring wheat, barley and triticale samples. Team nutritionist, Dr. Max Hawkins, says the combination of DON and fusaric acid can result in a high-risk equivalent factor that indicates toxicity to animals. Hawkins says mycotoxins move around quickly and spread contamination. As a result, he’s urging producers to ensure they sample their TMR and silage regularly and monitor their poultry and livestock. Hawkins says it’s important to distinguish between mycotoxin levels and mycotoxin numbers. His team found an average of almost four kinds of mycotoxins in each sample. But, he says, that number is unrelated to the levels of mycotoxins present in parts per billion and to the variety of mycotoxins.